We focus on acoustic guitars for beginner guitar players. We only sell quality acoustic guitars that are suitable for beginners, this includes 'size specific' acoustic guitars for children. The 3 featured beginner guitar specials above have the same quality, and are priced to be the cheapest available online in New Zealand. Save even more when you add in our free freight offer. 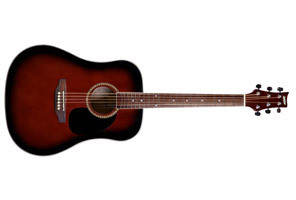 See our full hand picked beginner guitar selection here. All our beginner guitars are sold with our exclusive 28 day, Replace or Refund ‘Right Beginner Guitar’ Guarantee. This is especially important if you are buying an acoustic guitar for children. We also offer FREE delivery in NZ on purchases over $90. Get it right first time. Learn the most common mistakes made when buying a beginners guitar. This is invaluable information, especially if you are buying a small acoustic guitar for children. Get some free beginner guitar advice here. Ukeleles have become extremely popular lately – if uke think a ukelele is for you, give us a call. They're not really a beginners guitar, but they're a lot of fun in a small package! 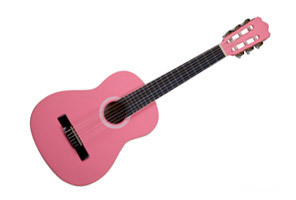 Who is Beginner Guitar Shop and why are our acoustic guitar prices so cheap? Beggs MusicWorks in Nelson are the people behind the online Beginner Guitar Shop. We have been in the very fun business of musical instrument retail since 1861, so with over 150 years practical experience in the musical industry you know we've got the knowledge to help you get the right beginner guitar first time (if we haven't got it right by now, we never will). We set up our acoustic guitar store online because we were sick of the poorly made and badly matched beginner guitars that keep arriving in our store for repair. And how can we offer such good quality, acoustic guitars so cheap? Well, we already have the guitars in stock, and with lower online operating business costs we can sell the guitars directly to you at a discounted rate. So you can buy a quality beginner guitar that's the same price as a cheap acoustic guitar elsewhere, all because of the low operational overheads, easy as that. See our full range of hand selected, specialist beginner guitars here. 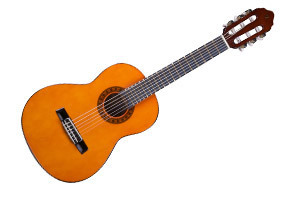 We stock a full range, brands include Valencia, Yamaha and Ashton acoustic guitars, and remember if a guitar is not here, we don't consider it to be a genuine beginners guitar. We also know how essential it is to get the right guitar to learn on, so avoid the costly and common mistakes people make (especially parents buying a guitar for the kids) and read our helpful beginner guitar advice. And when you do make a decision, you can buy your beginner acoustic guitar with total confidence, because only the Beginner Guitar Shop offers an exclusive 28 day refund or replace, Right Beginner Guitar Guarantee. Learning any musical instrument is a challenge - but it's much more fun and easier to learn when your guitar has come from the Beginner Guitar Shop.